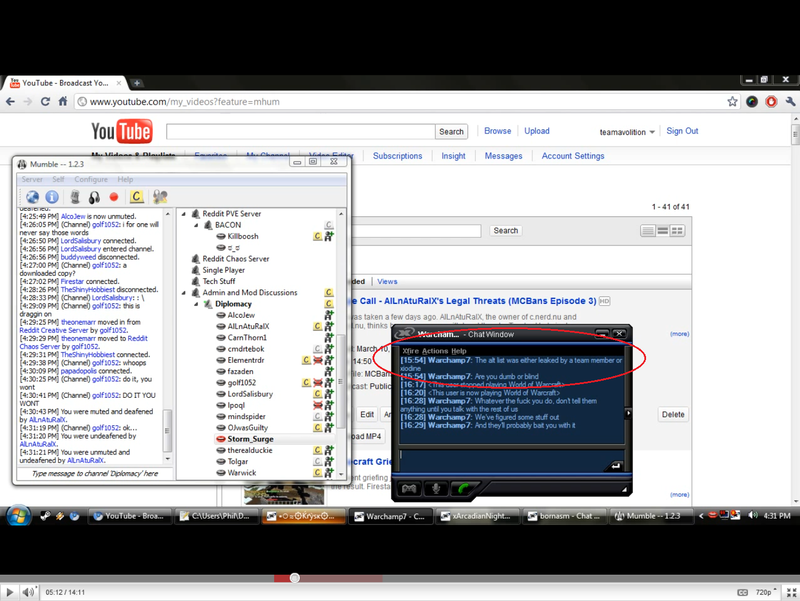 Discussion in 'Bukkit News' started by EvilSeph, Mar 13, 2011. We urge everyone in the Minecraft community to change their Minecraft.net passwords ASAP. Please read below for tips on how to create a better password before doing so. It recently came to our attention that a list of approximately 1,000 Minecraft account names and passwords were made freely available on the internet. We believe this list consists of information collected by a group of malicious users from a well known "griefing team". How the information in this list was obtained is not sure, but we suspect they collected them through the use of hacked clients that pretend to only give you extra features like flying or seeing through blocks but actually send your account information to the creators as well. The first thing we did when we acquired this information was to inform Mojang of this crisis, however, we feel we can do a bit more for the community while we wait for them to handle the situation properly as we've learned that there's a high possibility that the griefing team is aware that their list has been made public. As such, we are going to be pre-emptively banning compromised accounts with an informative reason. Unfortunately, MCBans did not have a means of merely informing compromised accounts that their username and password have been discovered, so banning them with a brief message telling them so is the only option. Passwords should contain a mixture of upper and lowercase characters. Passwords should contain a mixture of letters and numbers. Passwords should contain punctuation characters and symbols such as: % & + - = #. Choose a password you can remember but don't make it too easy. Passwords should be at LEAST 8 characters in length, but 14 or more is preferable. Please help us by sharing this information with everyone you know and getting them to change their Minecraft.net passwords. However, we still encourage everyone to change their passwords anyway. If you are on the list, please feel free to PM Dinnerbone with a list of 3rd party mods you use so we can figure out what mod it was (if it was any of the public ones found within the Minecraft community). In light of this security issue, we feel it is time to make our CraftBukkit Recommended Builds public. We've been hard at work plugging up known exploits to prevent them from more easily griefing or taking down your server with whatever knowledge we have. As such, we are moving to make our Recommended Builds for CraftBukkit more official and known ASAP. We want everyone in the Minecraft community to benefit from the exploit fixes we've made to the Minecraft server by switching to Bukkit, until Mojang has dealt with things properly themselves. While we're still in talks with Mojang about licensing and their stance on Minecraft server modding, we feel this is a more than good enough reason to release our Recommended Builds to the public. Please note, if you are updating to the latest Recommended Build we cannot guarantee that all the plugins you currently use will work properly so you'll have to do your own testing locally or on a test server. If you're new to Bukkit, please feel free to join our community and ask for help with moving over. I would like to add to this. Everyone including server admins should be copying and pasting this message on their forums to help spread the word. The next thing to do is inform your users on how important it is not to download stupid silly hacks from the internet. Almost all the malware keyloggers and crap come from this. In fact today maybe minutes ago someone on my server seam to have been infected by some kind of malware. It seams to insert it's self into chat conversations. I thought it was packet releated but then it would not make sense why it did not start till the person hit t button.. Notice how it's his where should be this. Now who knows if this is a Minecraft one but the best part of it was this links to a exe file that clearly is keylogger/malware. SO EVEN MINECRAFT players are at risk so watch CHAT. Always tell players not to download files from other players. And if you download a texture pack make sure it's just images and not class files. It's best to not download any client mods that are not from respectable authors who have been doing it for moths and NEVER download special modified mods from say other people in the threads and such. They might just be a trap waiting for you! Thanks for patching up those griefing exploits, Bukkit team! awesome work guys, thanks for the security update! Put this up on my website/ server website. Everyone on my server has changed their password thanks for notifying us! I think the recent work you guys have done to stop explots is great, but none of it (that I can tell) has anything to do with password stealing. If I understand the way the auth system work the server never sees the users minecraft password. So why do you start pushing Bukkit as if it's an answer to the password problem? You don't ever directly make the connection, but it seems to be implied by talking about the two in the same post. We moved to push Recommended Builds out there more as we have fixed quite a few exploits that make it easier for people to grief (being able to free-cam anywhere without moving your character, being able to edit signs, being able to crash servers, etc). This is not connected to the password stealing issue, but it does relate to security of Minecraft overall. Lets not forget, allow someone to login to your server (online mode) and assume someones identity if my commit log memory serves. I found 2 of my users that were on the list and have contacted them to change their passwords. I sent out a bulk email to all my users..also all mibit chats that have anything to do with minecraft now know! When the new Launcher was introduced using the https authentication that wasn't working many of those who had deleted the old launcher scrambled to get another copy, however, I remember reading about malicious versions of the old launcher that were posted on minecraftforum.net I wonder if this is where the accounts were compromised. Checked all the accounts I knew for my servers, no one was on there. Wonder why minecraft.net haven't even bothered posting that some of the accounts got breached and such. Folks, what you're looking at is a screenshot from Team Avocado's most recent youtube video. Here, while Storm_surge is in the Reddit mumble, Warchamp sends him a message via Xfire telling him that their "Alt list" (the list of 1,000+ hacked accounts) was leaked. The Bukkit grief protection (free-cam, edit signs, etc. except the crash server thing) should be toggleable for OPs so that I can spy and do evil things on my own server, but only on my own. Non-ops shouldn't be able to unless you explicitly say that they can. You're mistaken here, if you look the other user started and stopped playing World Of Warcraft. An 'alt' is an alternative character in the same server. lpminecraft has been notified. Spread the word! why the hell do people say make a stronger password? Its a stealer who got all the passwords obviously a longer and stronger password wont change anything. Do you actually think that they bruteforce thousands of passwords and try to get the usernames password no they don't. Just dont be dumb and download minecraft hacks that are backdoored. because a strong password is *ALWAYS* a good idea... and because once they have your username and a KNOWN weak password they may try to bruteforce aganst the account to recover password again. Always be suspicious.... *ALWAYS* use a STRONG password, and NEVER download or run things from an untrusted source. This post kinda annoys me. You guys do realize that minecraft accounts are pretty easy to hack. People are literally handing out free stolen minecraft accounts on forums I've been to. Nothing to get worried about. This "crisis" as mentioned is only a fraction to what really goes on. Also would like to point out that your account could be used by someone else without you knowing, lots of my friends "share" accounts with random people. The post should say "approximately 80,000 Minecraft account names and passwords are made freely available on the internet", just saying. SpongeCraft has been notified. Spread the word! Glad I'm safe, checked that list.